ANTANANARIVO, Madagascar—In a chilly postnatal ward at Ambohidroa Hospital, Mamy Rasoahariniaina wrapped her day-old son in a cotton cloth. She added a woolen hat, swaddled her newborn in a blanket and held him close in a warm embrace. Mamy and four other new moms in the ward had been listening to midwife Sitraka Rasolofomanana talk about the benefits of post-delivery family planning and birth spacing. No stranger to modern family planning, Mamy had used an injectable for a brief period, before changing to an implant. But starting a family planning method immediately after giving birth? Mamy had concerns. Friends told her that starting a family planning method within the first six months after birth would affect her breast milk and could harm her baby. At the same time, Mamy was worried she might lose her husband if she took longer to resume sexual activity. But she didn’t want to get pregnant so soon. 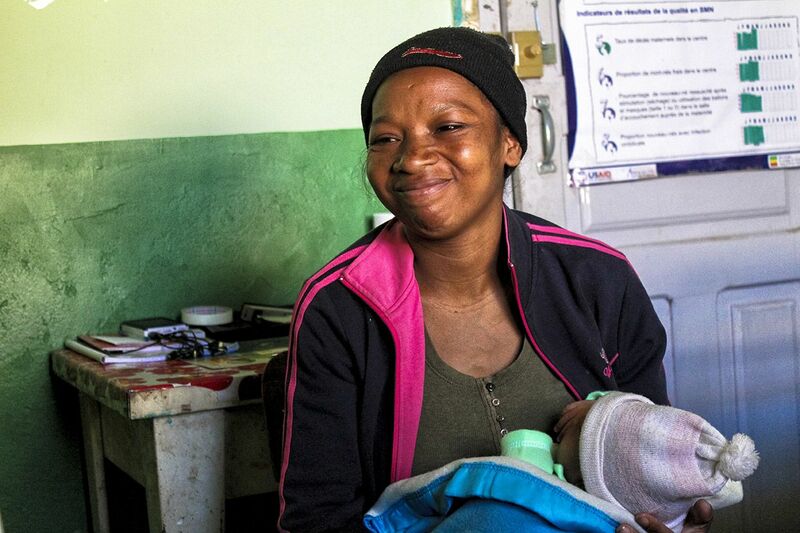 In Madagascar, six out of 10 women giving birth express a desire to delay their next pregnancy for at least two years, but they do not have appropriate family planning information and services. This disconnect can be explained by the fact that only about one-third of all births in the country occur at a health facility. The remaining 64 percent occur at home. 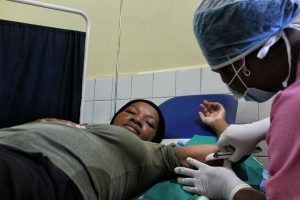 Even among women who deliver at health facilities, only a third opt to start using a modern method of family planning. According to the World Health Organization (WHO), waiting 24 months before trying to become pregnant after a live birth will help avoid short pregnancy intervals—a high risk for pregnancy- and birth-related complications, poor health, malnutrition and/or death for the mother and newborn. 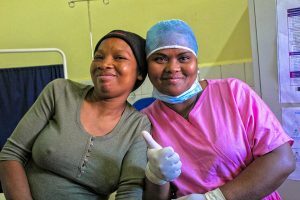 With funding from the United States Agency for International Development (USAID), the Jhpiego-led Maternal and Child Survival Program (MCSP) is working with the Madagascar Ministry of Health to expand access to long-acting family planning services. Nurse Sitraka is one of 1,100 PPFP providers across the country empowered by MCSP to skillfully and confidently provide high-quality individualized post-delivery family planning services, including counseling and immediate insertion of intrauterine devices and implants. During her training, Sitraka was mentored by Dr. Edgar Andrianantenaina, an MCSP national trainer and head of maternity services at Ambohidroa Hospital. After the group session with the moms in the postnatal ward, Sitraka sat down with Mamy and her husband for private counseling. She described various options and helped the couple choose a method that was safe for Mamy and her baby. The couple decided that Mamy would continue with an implant, and agreed it should be inserted that very day. Mamy joined 10,000 women in Madagascar who have accepted a family planning method immediately after birth through MCSP in the past two years. Mamy had one more reason to be happy: “My husband is not going to be looking elsewhere,” she added, laughing out loud. Dr. Jean Francois Xavier and Dr. Mavonirina Razafindrabe are Field Technical Officers for the USAID Maternal and Child Survival Project in Madagascar. Charles Wanga, Jhpiego’s Africa Region Senior Communications Specialist, contributed to this story.